Fun and informative site for persons of all ages especially older americans. Local Euclid Premier Cellphone & PC Shop. Thinking of a vacation? CruiseOne franchise Owner, Sara Bitzer and Associates, provides personalized service, walking you step-by-step through the entire booking and planning process. From selecting destinations and excursions based on your interests to providing packing lists and enhancing memorable vacation moments. We’re a nonprofit, member-owned financial cooperative serving Members who live, work, worship or go to school in Lake or Cuyahoga counties, Ohio, as well as employees of our Select Employer Groups. We’re a full-service financial institution meaning we offer most of the same products and services available at other banks but with a few major differences. Our Members: - get better rates (higher rates on deposits and lower rates for loans) - pay lower and fewer fees receive great service - can access their accounts at other Credit Unions across the US that participate in the Shared Branch Network We invite you to take advantage of the specials listed below as well as look around our website to learn more about what Membership in our Credit Union offers. 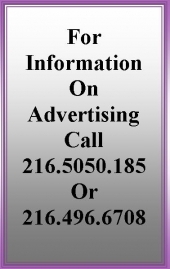 Please call 216-920-2000 or visit us online for more information. We'd love to have you join us as a Member today! The Euclid Chamber of Commerce's website. A four star Step Up to Quality rated non-profit cooperative preschool serving 3, 4 and 5 year old children since 1948. Catalog, events at the library, "ask a librarian", much more. The website for the great city if Euclid Ohio. Award winning website of Annenberg University. Debunks and analyzes political ads, claims, and emails. Your one stop online store for all your gaming needs and accessories for you gamerroom! Lake Health is a community-based health care system comprised of 16 facilities in Lake, Geauga and eastern Cuyahoga counties with two acute care hospitals - West Medical Center in Willoughby and TriPoint Medical Center in Concord Township. Shred Nations offers secure shredding services throughout Ohio. OneTree Yoga Studio is in the Shore Cultural Centre in Room 243. Please visit our website and schedule! OneTree offers a variety of classes for all levels of practitioners. We would love to see you in class! Email us at Lisa@onetreeyoga.org with questions. Neighborhood Association in the Sherwood Forest area, Euclid, Ohio, Ward 2. The Shore Cultural Centre is dedicated to the residents of Euclid and beyond to provide quality, family orientated classes and events for all ages. The paper that really caught our eye, and made us think, "Hey let's do that here!" The community owned paper for Cleveland Heights and University Heights. This is the original Observer Community paper, and the model we are going with. Check it out. Residents, all of them with a voice. The community paper for Parma, Parma Heights, and Seven Hills. Proud member of the Observer family of community owned media. The Euclid Observer's sister publication in Westlake and Bay Village Ohio.